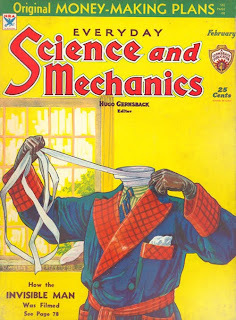 The Invisible Man makes the cover of Everyday Science and Mechanics! Michael Myers looks for his prey in "Halloween II". 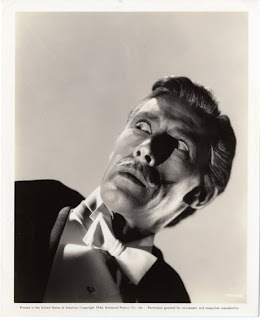 John Carradine as Dracula in "House of Frankenstein". 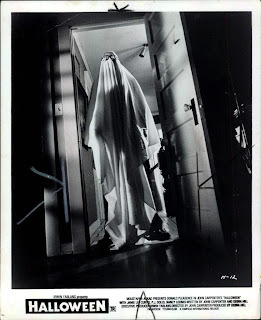 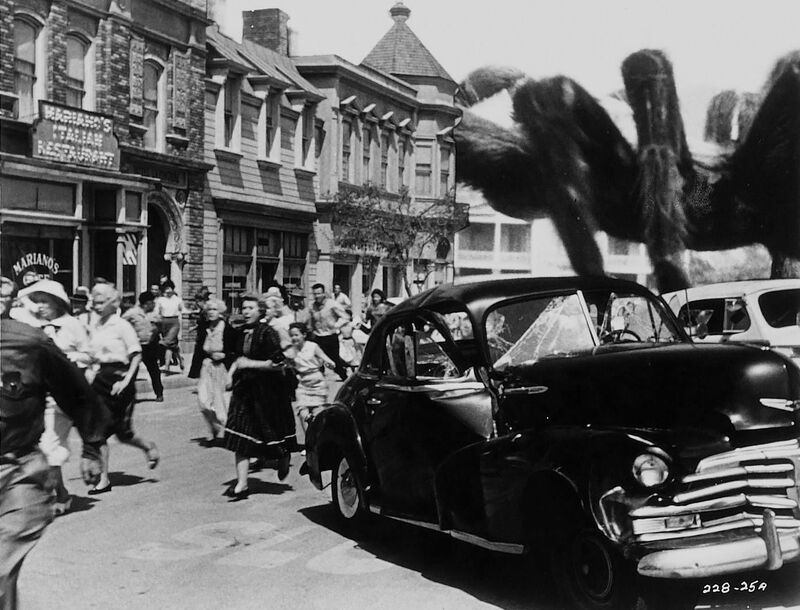 Looking for the Creature in "Creature Walks Among Us". 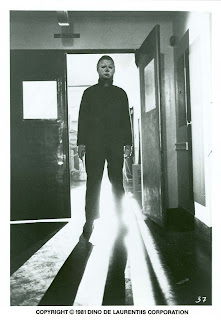 Jamie Lee Curtis and Donald Pleasence prepare themselves for an encounter with Michael Myers in "Halloween II". 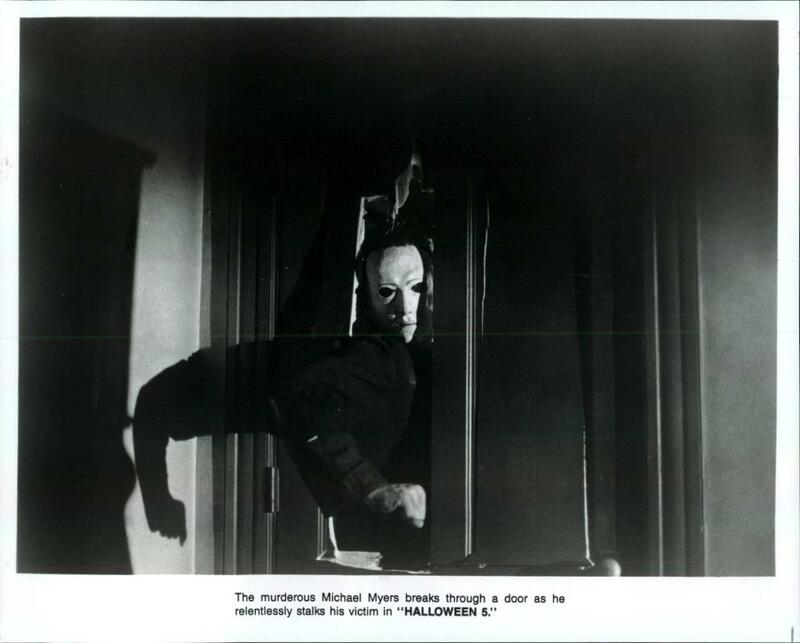 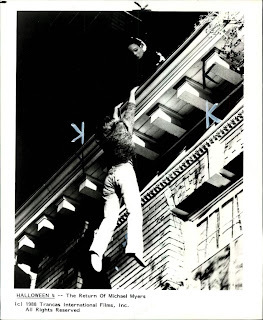 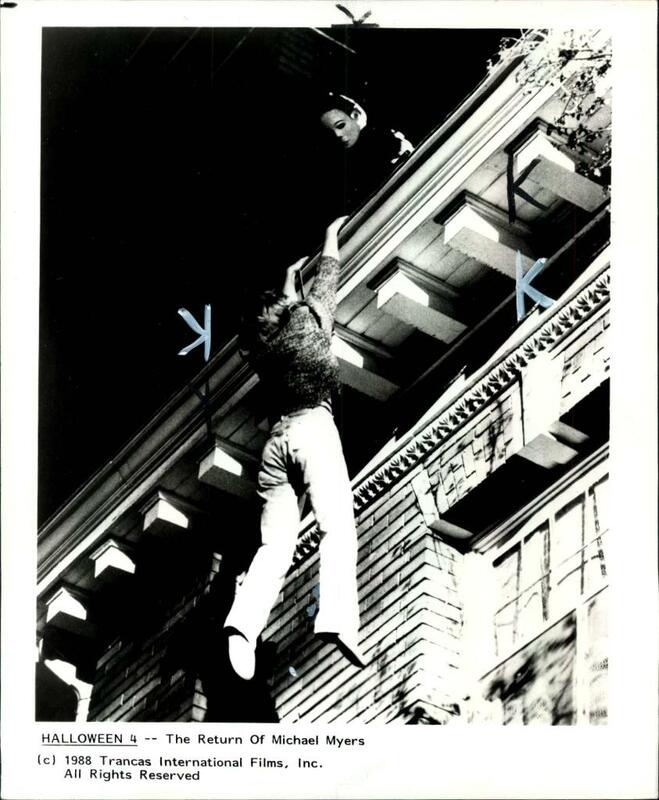 Michael Myers breaks his way in! 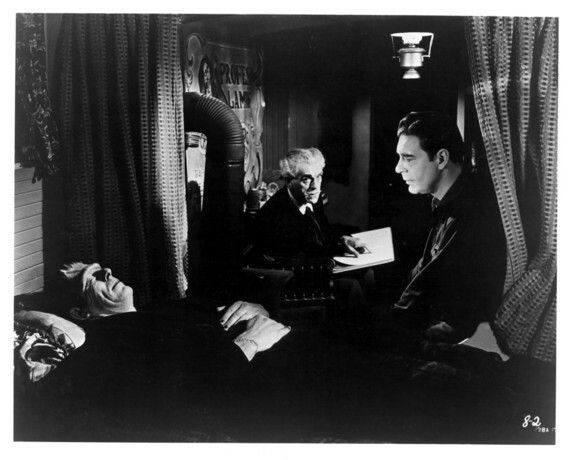 From "Halloween 5: The Revenge of Michael Myers"
The Monster, Talbot, and Niemann discuss things in "House of Frankenstein". 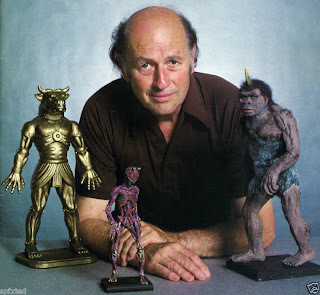 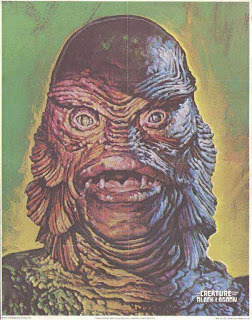 John Bromfield from "Revenge of the Creature". 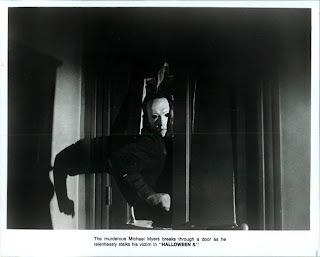 Trick or Treat from Michael Myers in "Halloween". 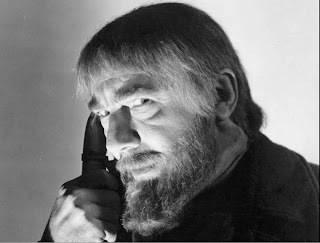 It's Bela Lugosi as the Broken Necked Ygor from "Ghost of Frankenstein"! 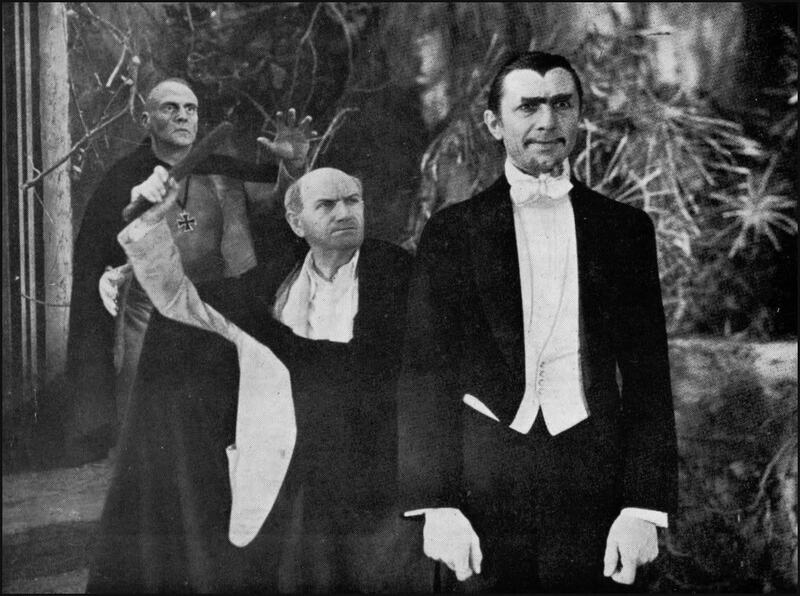 A classic scene from "White Zombie". 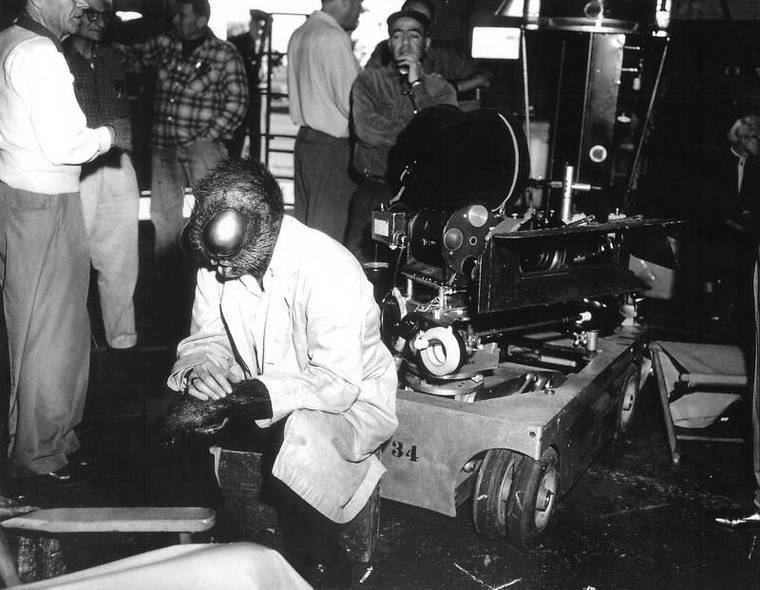 The Creature is offended by the reaction of Julia Adams on the set of "Creature From the Black Lagoon". Run for the giant spider! 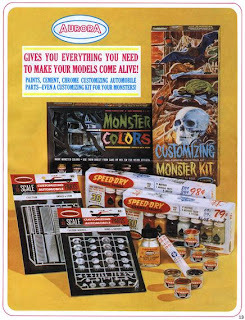 Here is an ad for the Customizing Monster Kit and Paints from Aurora! 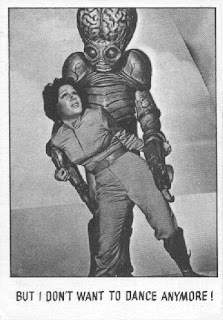 Sorry for the lack of updates this past weekend. 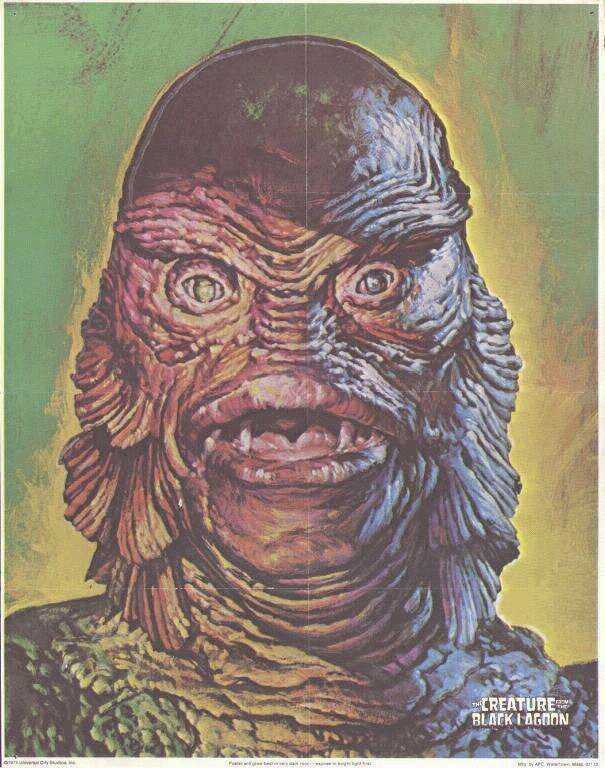 I was out of town, but now I am back! 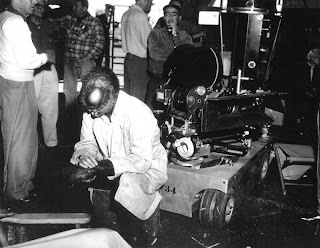 Here's a behind the scenes picture from "The Fly"! Don't Look in Her Eyes! 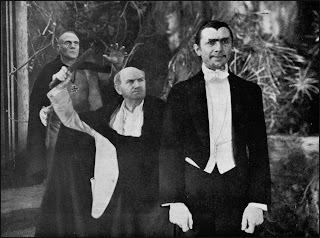 Wilbur tries to avoid the bite of Sandra in "Abbott and Costello Meet Frankenstein". 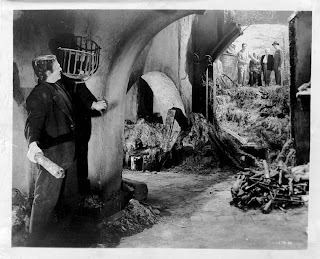 Poor Quasi from "The Hunchback of Notre Dame". 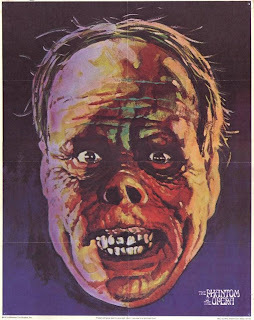 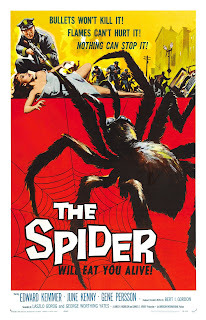 Monster Movie Posters: "The Spider"
Christine is lured by the Phantom in "Phantom of the Opera". Here is a terrific diorama of King Kong vs. Godzilla using the Aurora Monster Models! 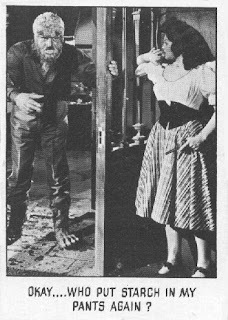 Onslow Stevens and Jane Adams battle it out in "House of Dracula". Jack Pierce puts the finishing touches on his masterpiece: Boris Karloff for "Frankenstein". 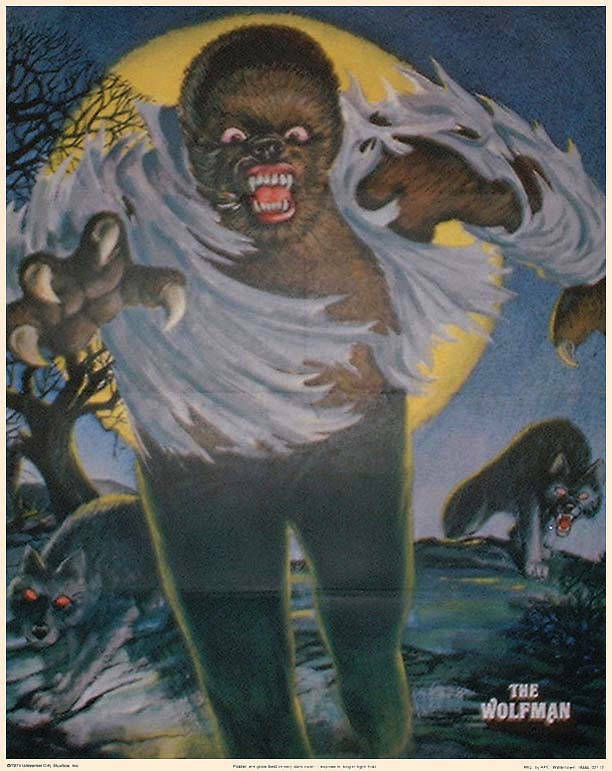 These are the posters that you could get from buying products like Sugar Crisp Cereal! Now Will You Give Me My Chalk? 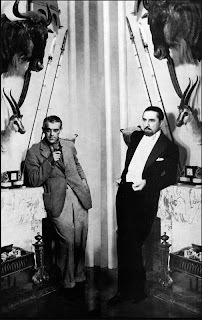 Karloff doesn't like being locked up in "House of Frankenstein". How exciting that would be to find in the market! 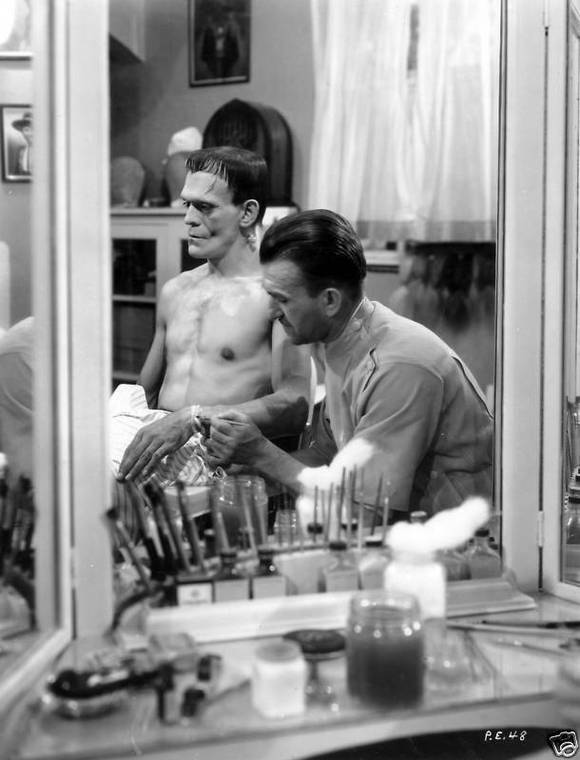 It look as though Frankenstein is ready for a game of baseball in "Frankenstein Meets the Wolf Man". 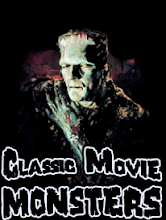 A recreation of Famous Monsters #1! 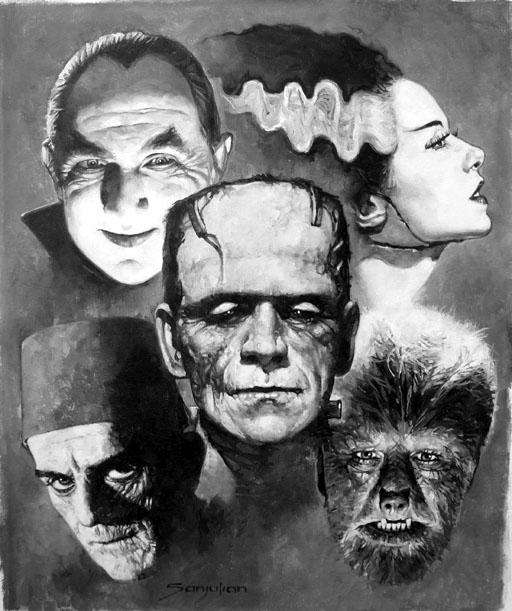 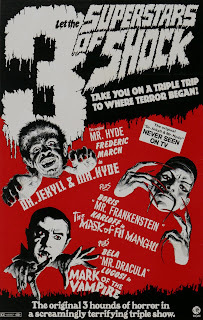 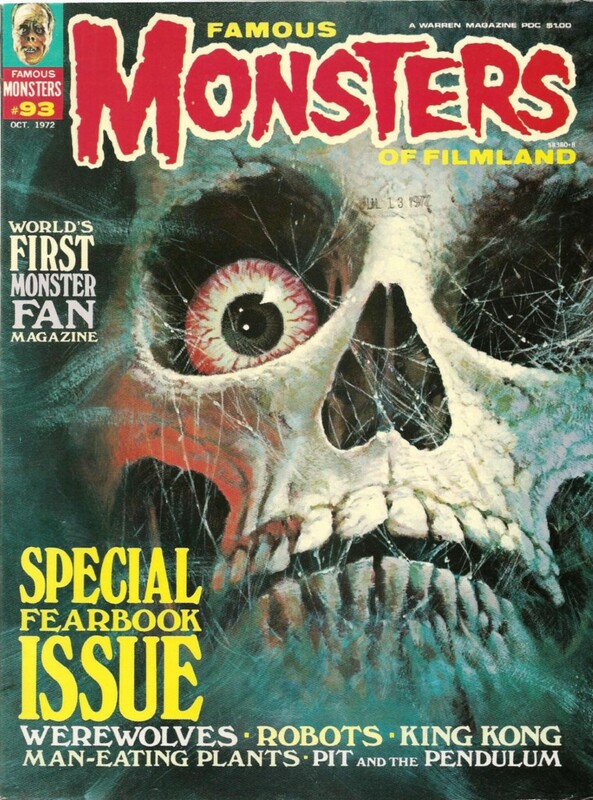 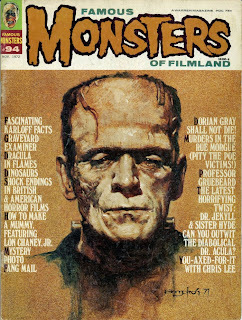 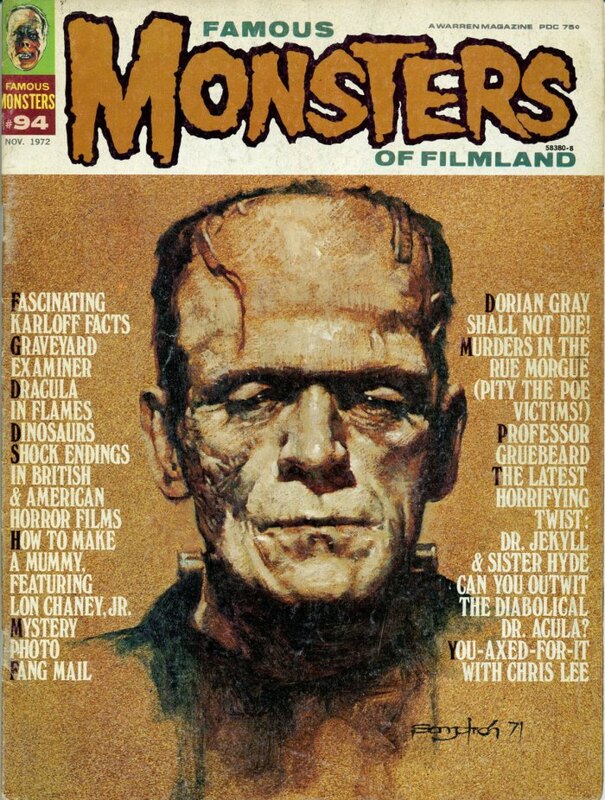 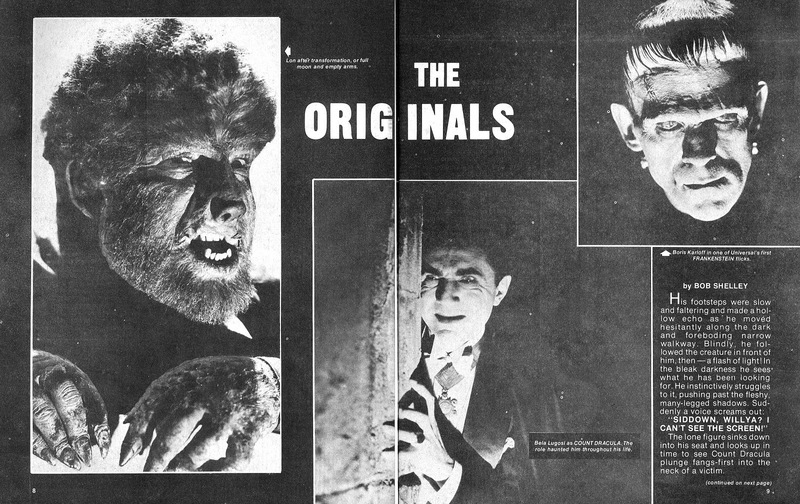 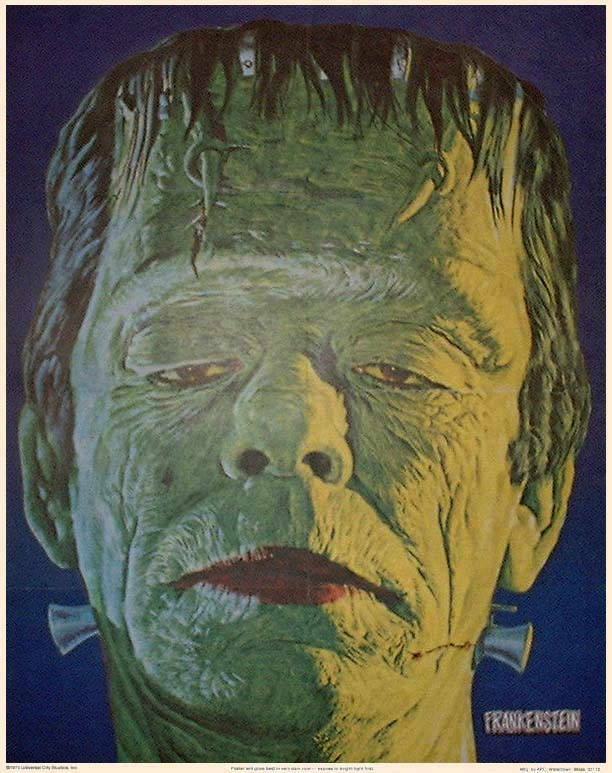 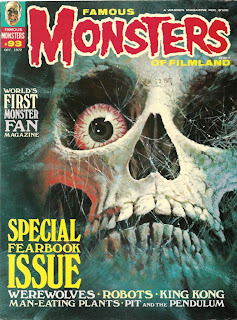 Frankenstein on the cover of the original Famous Monsters issue was publisher James Warren, however. 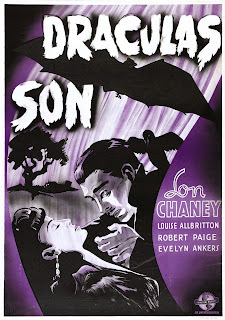 Lon Chaney, Jr. and Louise Allbritton walk the swamps in "Son of Dracula". 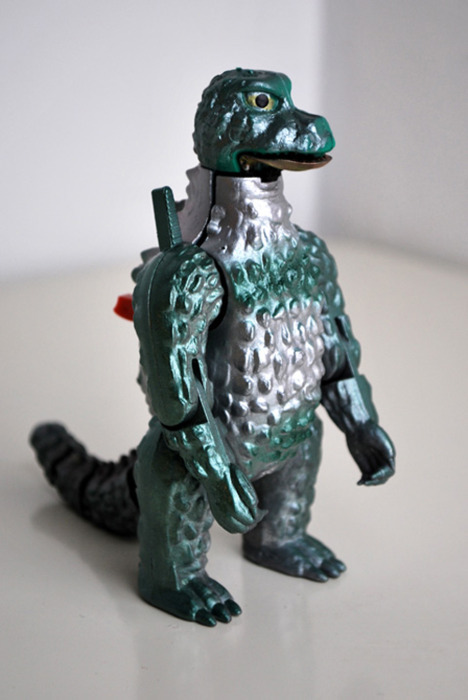 Massey vs. Lugosi in "Frankenstein Meets the Wolf Man"
I think this great metal Godzilla toy came out sometime in the 70s. 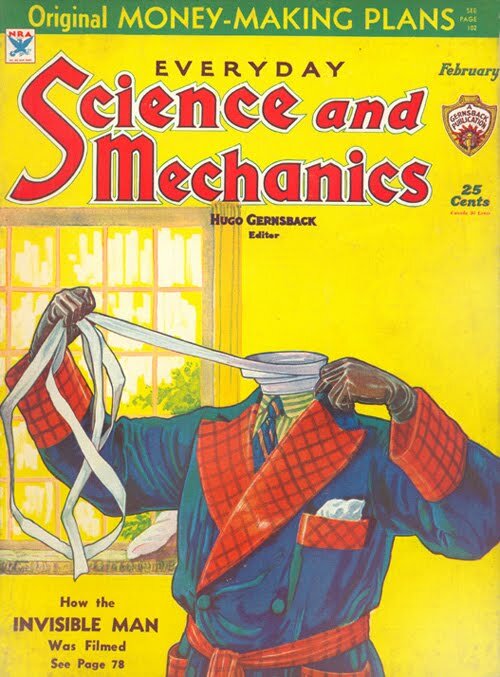 It's very neat! 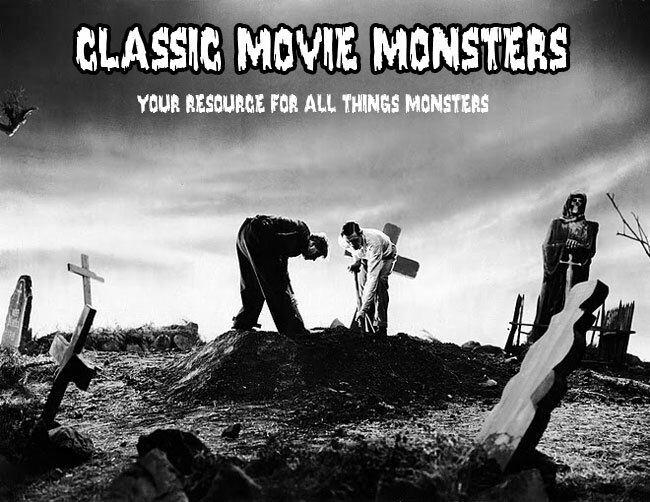 Finding the Monster in Ice! Talbot finds the Monster in "Frankenstein Meets the Wolf Man". 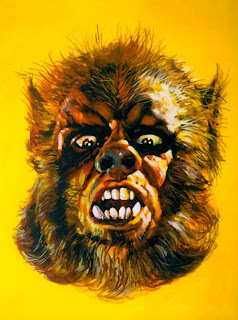 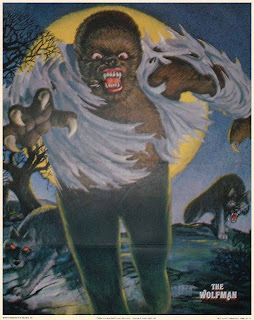 This is a wonderful painting of Oliver Reed from "Curse of the Werewolf" done by Basil Gogos for Famous Monsters.